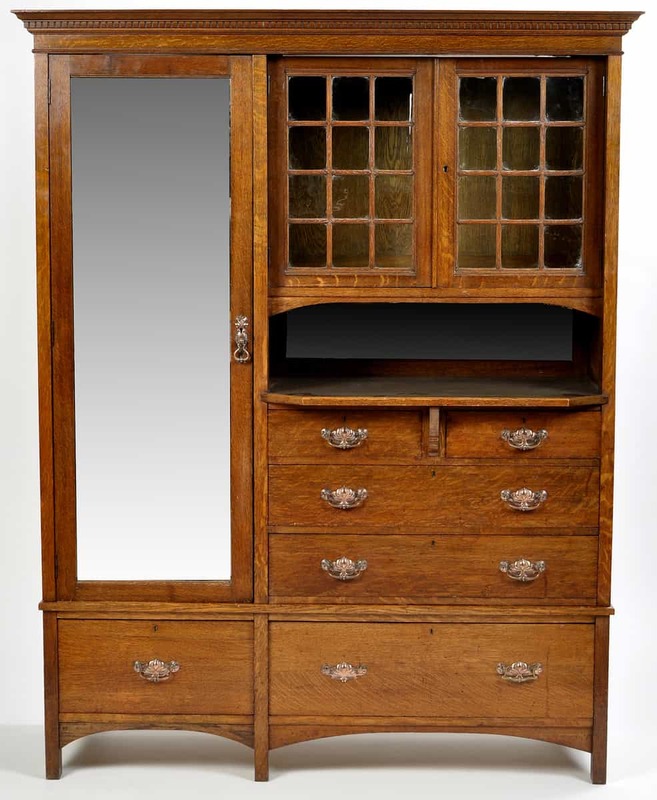 A delightful Arts & Crafts wardrobe, the flared dentil cornice above right-hand section, fitted glazed panelled doors above alcove, two short and two long drawers under, left side fitted mirror panel door enclosing hanging space, raised on base fitted one short and one long drawer, all drawers with embossed copper and brass handles of stylized poppy design. Dimensions: 163 x 57 x 207cms (64 x 22 1/2 x 81 1/2in.) high. Purchased from Liberty & Co London and bearing a label.